Organization Domain Modeling Methods component of DMM Studio - a component of Retis Domain Modeling Methods & Analytics Simulation platform is comprised of a set of integrated graphical/visual and text editors which are easy to use and provide modeling languages/notations to support users in creating models of the organization as a system and its various aspects that can be used in analysis and synthesis as well as analytical-based solutions to business organization problems. Organization Units and Structure Modeling Methods and Graphical Editors - Organization Units and Organizational Hierarchical Structure Visual Editors. The editors and models are described under the "Structure Modeling" tab below. 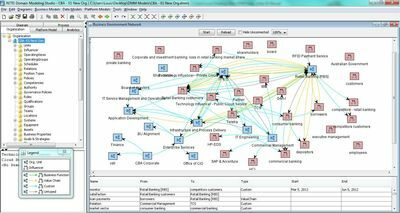 Organization Relations Modeling Methods and Graphical Diagramming Editor - Organization network structure actor Dependency Relationship Models. 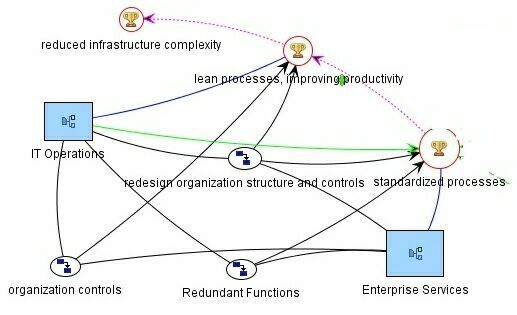 Business Process Modeling Methods and Editors - Organizational Work and Administrative Process and Work Flow Models, Organization Behavior Process Models, Management Process Models, etc. 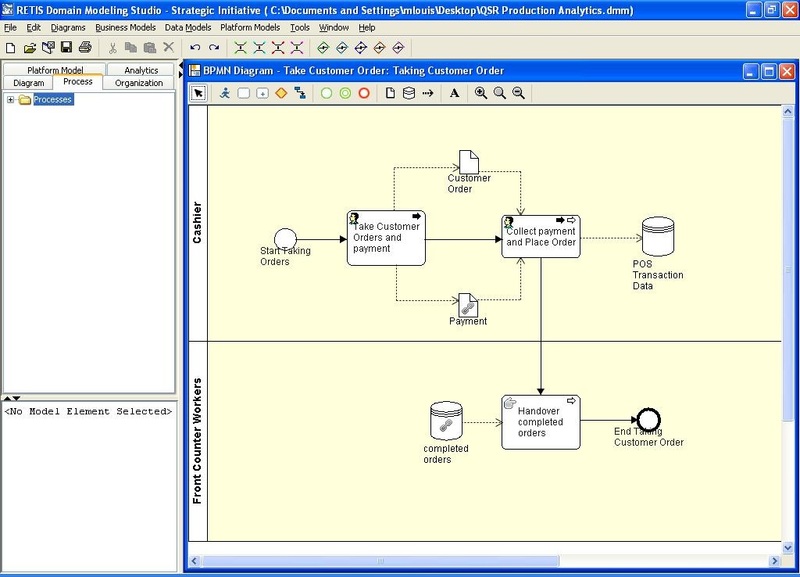 Process Data and Expressions Modeling Methods and Graphical ERM/Data Object Editors - Process Information Flow Models, Process Flow Control and Decisions Expressions Models, Process Input/Output Data Models, Role/Resource Assignment Policy Models. Managerial Process Modeling Methods and Editors - Management processes are linked chain of decisions and actions to set directions, sell and negotiate assigned responsibilities, and monitoring and controlling organizational activities.. The organization structure modeling methods and editors provide the capability for creating Organization Viewpoint Models that define the organization in terms of organization units and the relationships between these units. These Organization Units can represent Functional Units, Departments, Operating Units, etc. 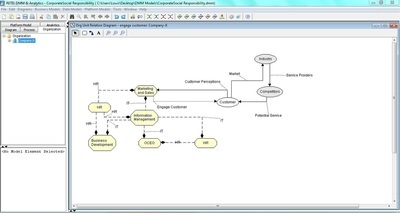 The modeling methods and editor provide visual modeling notation/language for users to define logical models of different views of the organization domain. The Organization Structure Decomposition model is defined by the Organization Units that comprise the organization and their organizational relationships to each other. The decomposition structure may define the functional, operative, etc., views of an organization entity, with each organization unit defining an aspect of the the functional capabilities of the company. The grouping of people under an Organization Unit may be based on criteria such as common purpose, skills and competence, similar responsibility and obligation of a group of employees, etc. 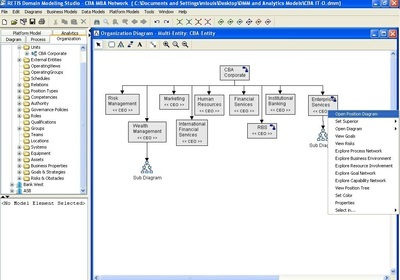 The Organization Structure Editor is a visual diagramming tool that allows users to create hierarchical organization decomposition diagrams representing functional decomposition of the organization entity. Within an Organization Unit users can also create Positions and Position Structures which define the reporting relationships between the people that occupy the positions within the unit and the managers of the unit. 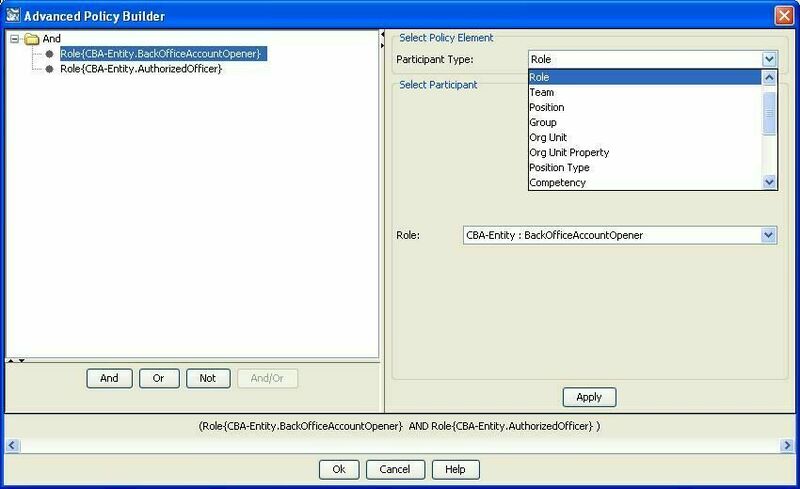 The Organizational Unit Properties Editor enables users to define property variables and link them to other viewpoint models such as organization work and administrative processes, products and services (value proposition), organization goals, and skills and competencies through the Position Structures Model. The Positions Structure Editor is a visual diagramming tool that allows users to create hierarchical position diagrams. The concept of position provides the abstraction enabling the definition of an individual as a logical social system in terms of their skiils, competencies, experience levels and reporting relationships. The Position Structures are expressed through hierarchical reporting relationship between positions. Positions are social concepts employed by organizations for abstracting from specific human actors in the organization. Positions represent the part of the organizational design which specifies the competencies and services necessary to achieve the society (business enterprise) objectives. Positions define how the organization aims at implementing its design through the specification of the behavior of particular individuals or group of individuals. The Value Proposition Editor allows users to create products and services offered to customers, as well as the components parts and materials that comprise these products. Objects are physical (e.g., equipment, material, device, etc.) or social (e.g., money, language and normative descriptions) that may be used by social systems actors to accomplish a task and achieve goals. When objects are used with a specific purpose in mind they are denominated as resources. In this case, how the resource participates in the process/action affects how goals are achieved. Operational Processes - Processes that create, produce, and deliver value (products and services) that customers want. Administrative Processes - Processes that are necessary for running the business and support the value chain processes. Operational and administrative processes share several characteristics. The primary differences between the two lie in the nature of their outputs. Typically, operational processes produce goods and services that external customers consume, while administrative processes generate information and plans that internal groups use. Examples of work processes include new product development, manufacturing, and logistics and distribution are examples of operational processes; while resource planning, budgeting, and performance measurement are examples of administrative processes. The process view considers an organization as a whole (system) or any of its parts to be an activity network or a collection of processes. A process can refer to detailed workflow, such as billing a customer, or implementing an engineering change order, or to aggregate activities of new product development, or customer service. Adopting a process view means that we visualize instances of work, called flow units (e.g., consulting engagements, hospital patients, barbershop patrons, hotel guests, or products/parts, service orders) flowing through a network of activities and buffers. The primary workflow is typically accomplished by an information flow to coordinate the activities, and a cash flow to support and reward them. A BPMN Business Process Model that provides information about the activities performed, the routes taken, the rules impacting which routes and activities to perform, and the resources (human and machines) used to perform the activities. The activity definition includes the definition of roles representing the function/capability required by a resource to be able to perform the work. Goal models have been used in Computer Science in order to represent software requirements (in the discipline of Requirements Engineering), business objectives and design qualities, etc. In Artificial Intelligence (AI), goals have been used in planning to describe desirable states of the world. In modeling organizations as social systems goals are used to describe concepts such as intentions of stakeholders and shareholders, organization system states, organization performance standrads (targets), organization and process outputs and their outcomes and impacts. A goal is an abstraction that is used to define and represent a state of the world (such as business organization domain) to be achieved by an actor (social system). Goal models also provides the mechanisms to define the intentions and motivations of actors which provide insight into their behavior. Implicit in social and technical systems is the concept of critical performance factors such as quality attributes - safety, reliability, flexibility, slowly, fast, etc. These quality attributes are typically qualitative in nature with vague criteria for successful Goals are silent with respect to timing (i.e., when a goal is to be achieved), and measurement (i.e., criteria for fulfillment success). Goal type expressions abstract over objectives and criteria for measures of success for achieving the goal. Soft-Goals - These are goal constructs used to represent abstract ideas, intentions that a stakeholder wants to achieve such as aspirations or vision, concerns, purpose or mission, expectations, and quantifiable non-functional properties of organizations as systems. Soft goals achevement is not binary; and there are no agreed to standards or criteria for satisfaying a soft goal. Examples of non-functional organization system properties include security, safety, usability, flexibility, etc. Hard-Goals - These are goals used to represent concrete ideas in the real world; and to describe functions that must be carried out. Hard goals can be used to represent tasks, output resulting from actions, Achievement of hard goals is binary; they can be satisfied or not satisfied. Achieve Goals - This is a goal statement of how a change in the state in the world (i.e., business organization domain) can be achieved; and with clearly defined objectives and criteria for satisfying the goal at some time in the future as a result of direct evidence of performing a set of actions, activities, tasks, etc. These are hard goals that relate to concrete changes on the state of the world as a result of the outputs of actions, projects, etc., such as products produced, articles written, presentations made, number of people trained, etc. Maintain Goals - These are goal statements about maintaining the current state of the world with clear statement of the criteria for fulfillment. Avoid Goals - This is a goal statement with defined objectives to avoid such situations, and criteria for fulfillment based on actions and decisions that prevent the situations to be avoided from becoming true. Assumed Goals - This is a goal statement with defined criteria for fulfillment based on elements/conditions in the organization's environment. Assumed goals can be used to as abstraction to represent domain properties such as hypotheses, domain invariant including environments factors e.g., PESTEL factors, etc. Obstacle Goals Type - This is an abstraction over conflicts, challenges, weaknesses, etc., that prevent goals from being achieved. The goal decomposition link includes AND, OR and SOME relations. OR-refinement links relate a goal to an alternative set of refinements; this means that satisfying one of the refinements is sufficient for satisfying the parent goal. Each goal in the hierarchy is either a root or justified by at least another goal that explain WHY it is needed. Each goal except a leaf is refined as a collection of sub-goals describing HOW it can be reached. Hurts (-) - A goal hurts (partially denies) another. The goals logical model is expressed as a goal hierarchy diagram rooted in the vision and mission of the organization with cascaded goals that define elaborations of high level abstract goals down to concrete operative goals, tactical goals and operational goals. The hierarchical relations between the goals in the tree are based on AND-OR (exclusive, and SOME) relations. AND-OR Goal decomposition relationships support the elaboration of abstract high-level goals (i.e., organizational official goals) through decomposition into a hierarchy of low-level concrete goals (i.e., organizational operative goals). A goal is a statement of desired future an organization wishes to achieve. It describes what the organization is trying to accomplish. Goals may be strategic (making broad statements of where the organization wishes to be at some future point), or tactical (defining specific short term results for units within the organization. Goals can be categorized into a classification scheme based on goal types - evoked set of satisficing or policy constraints, where particular satisficing levels or targets are continually updated through compromise and achievement. (Krouse, 1972; Simon, 1964). Goal types are effectiveness criteria whose attainment requires performance of related actions. The concept of organizational goal types derives from the how organizational goals have been employed as criteria for assessing effectiveness of decisions and actions. Conceptualized this way, organizational goals are inessence benchmarks used to evaluate the effectiveness of organizational behavior and attained outcomes. The Organization System Goals Editor allows users to create links between goals in the goal tree and domain elements such as organization units and positions which are logical model representation of stakeholders. A stakeholder is a person or organization that has a legitimate interest in a project, program, entity, etc. The Goal Modeling Methods support many goal concepts and types, as well as varied types of links that relate goals (a) with each other and (b) with other elements of organization system elements such as organization units (as structured social systems), positions (as logical social systems), and processes (as implementation of actions, and decisions). Such links form the basis for defining goal network models that define organization as systems. The organizational goal model is expressed as a goal hierarchy diagram rooted in the vision and mission of the organization with cascaded goals that define elaborations of high level abstract goals down to concrete operative goals, tactical goals and operational goals. The hierarchical relations between the goals in the tree are based on AND-OR (exclusive, and SOME) relations. Identifying goals proceeds from either top-down, bottom-up and non-directional approaches: from Function/Department Level goals are identified business and/or corporate goals (expectations); and lower level operational/tactical goals (organization system requirements). Users can create and then assign (link) goal concepts to organization system elements such as organization units, divisions, departments, and positions as expectations or requirements. Organizational goals are abstract representation of strategic goals of relevance/importance that an organization's leadership team establishes to outline expected future outcomes toward which present efforts are directed. These goals not only drive the organization as a whole, but also guide employees' efforts towards achieving the company's vision. Organization goals may be classified into the following: "official" goals, and Operative goals. The official goals are what the organization would like to achieve, while Operative goals are what the organization needs to achieve to become successful. Official goals define the company's aims and purpose; they are the formally stated goals of an organization and are described in its public statements such as corporate charter, mission statements, and annual reports, and and communicate the general purpose of the organization. The purpose of official goals is to help build the organization's image and reputation; such goals are usually qualitative. Usually, high-level goals of an organization are of strategic (long-term) nature. Such goals are often made operational by refining them (through AND-OR Hierarchical decomposition) into lower-level (tactical) goals. The refinement of goals may proceed until sub-goals (prerequisites) are found, which could be assigned to employees with appropriate capabilities to achieve the goals. Operative goals are the actual concrete steps a business intends to take to achieve its vision and purpose. They are the outcomes the organization actually seeks to attain through its operating activities. Operative goals are quantitative and are measurable; they are defined and detailed in the strategic plan. Some common types of operative goals include overall performance (e.g., profitability, growth, amount of services delivered); resource (e.g., obtain financing, research grants, hire minorities); market (e.g., increase market share by x%); employee development; innovation (e.g., develop new products). Operational goals define the business processes needed to achieve Operative goals. These are a kind of hard goals that are the short-term tactics (benchmarks) designed to achieve the company's long term strategy. They are the workflow methods that bring a strategy or idea to fruition, and they exist at all levels in the organization from CEO to front line workers. The notion of “purpose” in social systems is expressed as a goal to be achieved by the positions within the functions in the organization structure. Members in that organization/society (social system) that hold those positions have to subscribe to that expressed purpose (goal) which gives coherence to their motivations, decisions, actions, and behavior. Obviously, the beliefs, motivations, etc. of the members of the organization that hold positions can also be influenced by culture (organizational, and environmental), as well as “self-awareness” (as it shapes learning and impacts decisions). In this formulation, “self-awareness” is an “internal” critical factor that can be expressed through “soft-goal” models (e.g., declaration of some condition that can influence the achievement of purposes/goals). 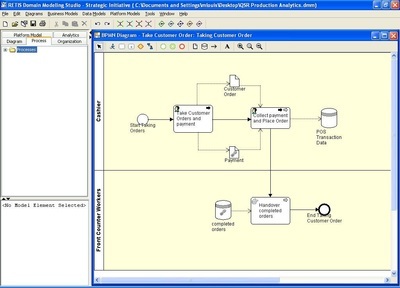 The UML based data modeling tool enables the creation of logical data model diagrams that define the concepts and ideas in organizational system domain such as products identify nd properties, services identity and properties, identity and properties of organizational physical assets such as equipment, machines, etc., and their capabilities. process variables (used in expressions such as flow control, conditions and branching decisions, etc. ), process data flow, and process input and output data. 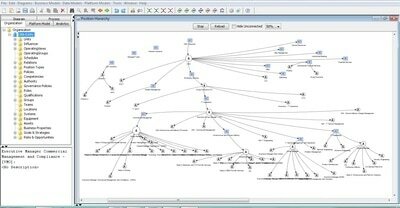 Entity Relations (E-R) Diagrams and Data Models Editor. The ER Diagramming tool enables users to create ER models that define the storage persistent/database storage needs for process output and performance data output. DMM Studio supports a number of different expression builders such as for process control flow and branching decisions expressions, policy expressions builder for defining resource selection policy models, and activity assignment policy expressions for assignment policy model. Management process involves the following processes direction-setting, negotiation and selling, and monitoring and control . The management process is comprised of managerial functions which are are linked chains of actions that aid the structuring, investigation, analysis, decision-making, and communication of the orchestration and coordination of activities and events, and engaging others in tasks so that the desired ends are realized. Managerial functions involve common choices about how to involve others and relate to them as the organization moves forward. They enable managers to work with, and through other people to get work done. The basic functions of management include: planning, organizing, staffing, directing/leading, and monitoring and control. All these functions have different purposes and critical skills requirements, but they all depend on communications, pattern recognition of situational context awareness to act, sensitivity to relationships, and an understanding of the organization's power structure. They focus on the effective use of organizational resources to support managers in their task of enhancing both customer value and shareholder value. They focus on how goals are developed, on how resources are allocated, and on how efforts of individuals are coordinated to achieve particular goals. They are influenced by organization values, culture as well as individual values and beliefs. Direction setting through the development of plans, in essence, map out where the organization is headed, its short-range and long-range performance targets, and the competitive moves and internal action approaches to be used in achieving the targeted results. Direction setting process involve the creation of plans that define the strategic vision and mission, establish objectives, and strategic decisions and choices are examples of basic direction-setting tasks. Strategic plans tyhat establish direction can be modeled as intentional goal models of choices to pursue. Modeling planning through plans captures the goal intentions, expectations, and assumptions underlying key decisions and choices, and judgments. Assumptions are influenced by organization values, culture as well as individual values, and beliefs. Goal intentions (goals) have the structure of "I intend to reach Z!" whereby Z may relate to certain outcome (strategic objective) or behavior to which an individual feels committed. Implementation intentions can be modeled as plans that specify an anticipated critical situation linked to it and to an instrumental goal-directed response. Implementation intentions (plans) have the structure of "If situation X is encountered, then I will perform the goal-directed response Y!". Holding an implementation intention commits an individual to perform the specified goal-directed response (action) once the critical situation is encountered. Both goal and implementation intentions are set in an act of willing. The former specifies the intentions to meet a goal or standard; the latter refers to the intention to perform a plan. Commonly, implementation intentions are formed in the service of goal intentions, because they specify the where, when, and how of respective goal-directed responses. This is a domain specific editor which supports domain concepts including actors such organization units, organization structures, positions; and their relationships. Organization Units - An organization unit is a logical structured actor. ​Actor Dependency Relations - ​These include a number of different dependency relations such as "value chain", "shared business function", etc. The dependency relations between actors are defined as directed network links, and the direction expresses the direction of exchange of value in terms of “value assets” during the interaction between for example, provider and customer, supplier and organization, etc. Users can create actor dependency networks that express the interactions of actors that comprise an organizational system in achieving the objectives/purpose of the overall system of interest. The strategic goal dependency relations designer enables the creation of strategic goal dependency relations models that define a social network model representation of a strategic plan. These models' diagrams integrate organization domain model (actor dependency relations model) and intentional goal models that define strategic goals and objectives. The strategic plan can be expressed in terms of a hierarchy of goals such as defined below. Vision - Vision statement translated into a broad set of goals - what the organization aspires to look like in the future. Mission - Mission statement translated into a set of goals - what the organization aspires to be for its stakeholders. Mission goals can be organized around performance areas the organization intends to excel in such as quality, efficiency, etc. Organization Goals - Organization. Organization gopals define a company's purpose, assist its business growth, and achieve its financial objectives. Top managers and leaders will set goals and objectives for the whole Setting specific organizational goals can also help a company measure their organization's progress, and determine the tasks that must be improved to meet those business goals. Organization Working Parts Goals - Organizations typically will have Functional Areas such as marketing, sales, human resources, etc., and products and services areas. Goals and objectives are set for the functional areas and products and services areas; measuring and tracking these goals and objectives help show if and how these functions are contributing to the organization goals and objectives. Goals and objectives are also set for the way the functions and products and services areas interact. The goal models are linked to the actors and they express the expectations of each of these actors with respect to strategic performance. The Organizing function brings together physical, financial, and human resources and the productive relationships among them for achieving the goals established in the planning function. Leaders need to identify what activities are necessary, assign those activities to specific personnel, effectively delegating tasks. Leaders need to coordinate tasks to keep resources moving efficiently toward goals It is important to prioritize which resources are essential at any given time. The organizing function tasks can be modeled as a goals model. Organizational Management processes can be modeled as social systems processes such as interactions, decision-making, and managerial actions. 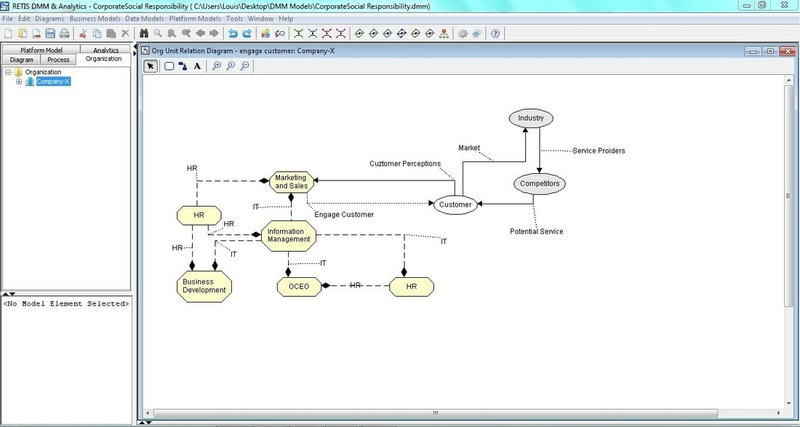 Social systems interactions can be modeled as actor dependency models, and strategic goal dependency models using the Organization System Relations Editor. The editor supports a number of different dependency relations such as "value chain", "shared business function", etc. The dependency relations between actors are defined as directed network links, and the direction expresses the direction of exchange of value in terms of “value assets” during the interaction between for example, provider and customer, supplier and organization, etc. 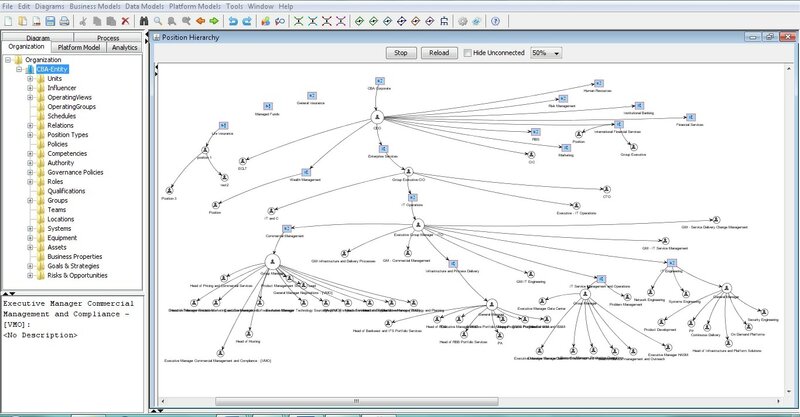 Users can create actor dependency networks that express the interactions of actors that comprise an organizational system in achieving the objectives/purpose of the overall system of interest. 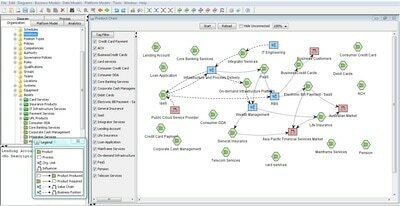 The strategic goal dependency relations designer enables the creation of strategic goal dependency relations diagrams. These diagrams define declarative high-level network models of social systems' strategic objectives and goals. The goal models are linked to the actors and they express the expectations of each of the parties to the relationship. The actors in a social system are connected by strategic goal dependency relationships to form a social network. Directing is one of the functions of management involving the directing of activities and actuating the organizational methods/actions through negotiations and selling to motivate staff. Directing is the responsibility of managers to let staff know what work needs to be done, and also by when to ensure efficient achievement of organizational purposes. Directing is that inter-personnel aspect of management which deals directly with influencing, guiding, supervising, motivating subordinates for the achievement of organizational goals. Directing sets the enterprise in motion through the actions of people to execute the work prepared during planning, organizing and staffing. The directing function requires leaders to do more than simply give orders, they must supervise subordinates while simultaneously motivating teams through guided leadership communicated in clear ways to contribute in meaningful ways. Execution control requires constant monitoring of the progress of the strategy, its implementation and execution to assess whether the planned results are being achieved. A firm’s successive strategies are greatly affected by its past history of implemented and executed strategies (actionable decisions) which determine its current state, emergent strategy, and actual/realized strategy. It is important to reexamine past assumptions, and compare actual results with earlier hypotheses. Planning - These are indicators that allow organizations to monitor and measure planning premises such as external and internal environmental factors, and industry factors. Implementation - These are indicators that provide feed-forward information to inform decisions on whether the strategy should be changed in light of unfolding events and results from incremental steps. The basic types of implementation control are: strategic thrusts (new or key strategic programs/initiatives performance, and Milestones Reviews). Strategic Surveillance - These are indicators that provide information designed to safeguard the established strategy in a continuous way. They allow the organization to monitor a broad range of events and conditions inside and outside the company that are likely threaten the successful achievement of the firm's strategic objectives. This provides the opportunity to uncover important, yet unanticipated information. Performance indicators such as customer satisfaction is influenced greatly by day-to-day decisions of front-line employees (i.e., a barber) responding to a customer requests, and in so doing making a choice about how to represent the company - a choice directly related to the fundamental value proposition the company is offering. Social Systems are defined as system of systems in that, larger more complex systems are composed of systems of the same type (i.e., Social System). A basic construct of modeling social system is human actors that are deemed to be systems in that they are purposive and have intentions. Any organization of people in a purposeful endeavor (i.e., business, community, society, militia, army, etc.) is also by deduction a system. So enterprises and organizations are social systems that are purposive and capable of independent thought, decisions, and actions as a result of the behavior of the members (human actors). So in our Ackoff compliant social systems we have “terminal nodes” that are human systems, that can be composed into larger systems, so far through composition and collection mechanism. Ackoff also posits that these systems which by definition are independent actors can also be combined into larger systems through their interactions and relations types (e.g., cause-effect relations, producer-consumer relations, shared services oriented relations, etc.). You can build conceptual goal models that express the motivations, and intentions, as well as concerns of individuals and assign them to actors (human systems) to create the foundation systems of a "social system". This goal model is consistent with the Business Motivational Model (BMM) notion of motivations, intentions, and beliefs. Define constructs such as enterprise made up of collections of related organization units (business units, functional units, divisions, etc.) which are comprised of human members therefore making them social systems as well. Since we want some flexibility in this model construction, we will leverage the Positions and Position Structure (Organization Reporting Chart) within each organization unit as a human resource profiles definition which will be resolved to actual human employees at deployment and/or execution time. The Positions define the competencies required for that organization unit to achieve its goal; the position management structure defines the accountability structure necessary for managing that endeavor to ensure success. Note that Bruce’s notion of Teams can be accounted for in this way as well as other collections. We can also define constructs such as mechanisms which aid our actors (systems) to deliver their mission (purpose, etc.). In our social systems denoting the enterprise some of these mechanisms are processes, applications, services, etc. These mechanisms do not have motivations/purpose, and intentions of their own, they are ascribed the motivations of the social systems that use and/or control them. They can provide the capability to realize a “producer-consumer relationships thereby have outputs and outcomes (impact of the outputs on the social system at large). Note that processes group resources of various types (other mechanisms/machines, data, people, applications, etc.) in creating and/or delivering value. Here again, we want to maintain a certain level of flexibility and defer decisions on utilization of particular resources till the last moment we would define resource profiles in terms of roles as part of the process model possibly using BPMN notation supplemented by resource selector and assignment policies. The types of the data and information elements in the process model are expressed through UML models. Note that the resource profiles defined by roles only address assignment and allocation issues, the actual capability of the resource to produce value in some situations must also be defined. For human resources, the capacity to learn, culture influence on capacity to perform assigned tasks, etc., would have to be modeled; for production equipment capacity to produce, and rate of production would be modeled, etc. We can now formulate corporate, business, and functional level strategies in terms of the motivations and objectives of the leaders and stakeholders of the enterprise, and distribute these strategic goals as well as mission and vision to the organization units (the social systems that comprise the enterprise as a system). We can have policies and procedures that define how goals are cascaded down to the individual employees and/or teams that actually accomplish the tasks that achieve the goals. Strategy alignment and organization alignment issues that cause so much trouble with strategy execution failures etc. are not managed as social systems configuration issues which are non-existent by definition of the model constructions as well as system verification and validation methods. Strength and Weaknesses in Organization Capabilities. This basic construct would now allow us to model and analyze a given social systems problem and/or situation to formulate the problem to be solved. The analysis and evaluation requires simulation because of uncertainties inherent in the complexity of the domain as well as insufficient data and information. Once we have a problem well formulated, we can develop alternative solutions to solve them using different techniques (this is where Big Data comes in for social systems problems such as politics, or business). 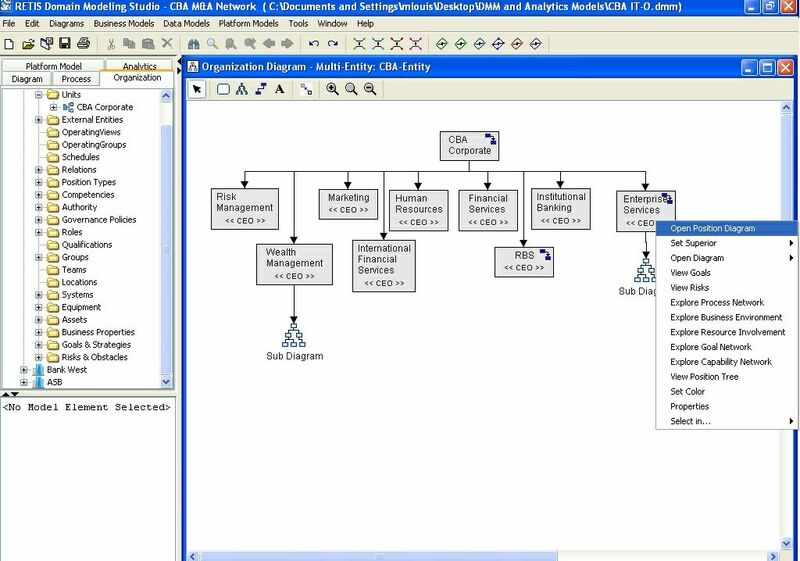 Organizations as systems can be modeled as social systems using the Organization System Network Structure modeling editor which is the integration of the Organization Relations Modeling Editor and the Goal Network Modeling Designer/Editor. This integration of modeling methods allows users to create social systems that define the organizing view of particular organizations with focus on an organization's purpose, actors and their various relationships and interactions, as well as behaviors aligned with achieving the intended purpose. Organization Entity is a modeling abstraction that denotes a particular organization being modeled and acts as a reference to the concept of the whole system. It is comprised of a configuration of a complex of actors (people and/or groups) that according to commonly agreed rules, and procedures strive to realize one or more preset objectives of the entity. Organizations as social systems have “purpose” (as in purposeful endeavor) which may be expressed as a goal to be achieved. Members in that organization (social system actors) have to subscribe to that goal; which gives coherence to their motivations, decisions, actions, and behavior. Obviously, their beliefs, motivations, etc., can also be influenced by culture (organizational, and environmental), as well as “self-awareness” (as it shapes learning and impacts decisions). In this formulation, “self-awareness” is an “internal” critical factor that can be expressed as a "health" metric. The central conceptual modeling construct in modeling social systems as abstractions of real world situations is the "actor". It is an abstraction which is used to refer to people (the active elements of a soacial system) that is capable of independent action. Actors represent the perspectives and objectives of the individuals responsible and accountable for establishing the vision and direction of the organization, formulating and implementing the organization's design and strategy, and executing the implemented strategy, resulting in creating and delivering value to customers to increase customer satisfaction and stakeholders' value. The Organization Social System structure is a network of actors (social system eklements) that define the organization entity of interest and its environments. The network is comprised of structured actors such as organization units that define the organization system, and external environment entities such as organization and institutions whose actions influence organization behavior. 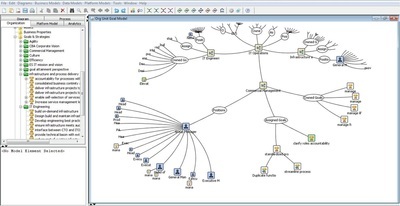 The social system network is defined using the Organization Relations Editor which allows users to create relationship links (selected from a template of relationship types) among organization units as well as between organization units and external environment entities such as markets, competitors, regulators, legislators, etc. The network structure essentially depicts an organization as a network structure of organization units (logical structured actors) connected to its environment through a pattern of relationship types. The organization relationships types supported include "Business Function" relations,, "Task Dependency" and "Resource Dependency" relations. The external environment is denoted by an external environment entity model. The concept of Environment Entity is an abstraction that is used to define forthcoming developments (either inside or outside of the organization) which are likely to have important impact on the ability of the organization to meet its objectives. The Environment Entity is also an abstraction over the concept of strategic issue, and the concept of influencer in Motivational Modeling. The category of Environments Entities (Influencers) is large and inclusive. Every business has hundreds of potential Influencers. There will always be too many Influencers to model. The decision as to what Influencers to model is determined by the Influencers that impact the organization's strategies and tactics, and affect the achievement of goals and objectives of the organization. The Environments Entity Text Editor provides the capability to create Environments Entity objects. The External Organization Entity modeling editor allows users to create External Organization Entities such as suppliers, vendors, competitors, consulting companies, etc., as well as customers, markets, etc. The properties editor allows users to define and add to an external entity its intentions expressed in terms of goals models. The properties editor allows users to define and add to an external entity its intentions expressed in terms of goals models. The External Organization Entity modeling editor allows users to create External Organization Entities such as suppliers, vendors, competitors, consulting companies, etc., as well as customers, markets, etc. The properties editor allows users to define and add to an external entity its intentions expressed in terms of goals models. 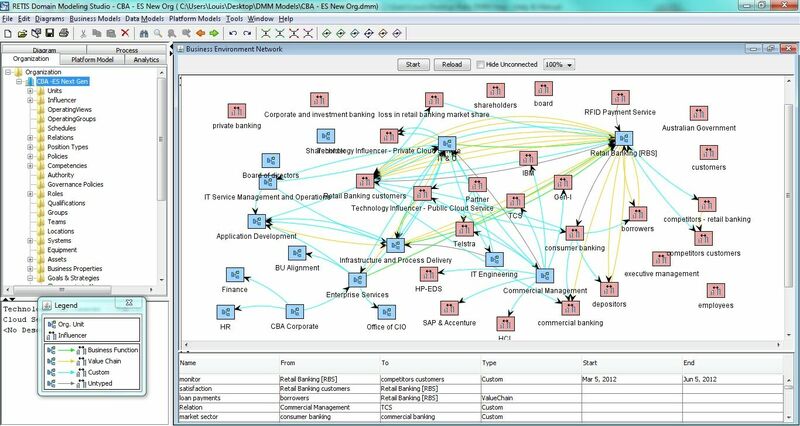 The Organization System Relations Editor enables users to create actor dependency networks that express the interactions of actors that comprise a system in achieving the objectives/purpose of the overall system of interest. 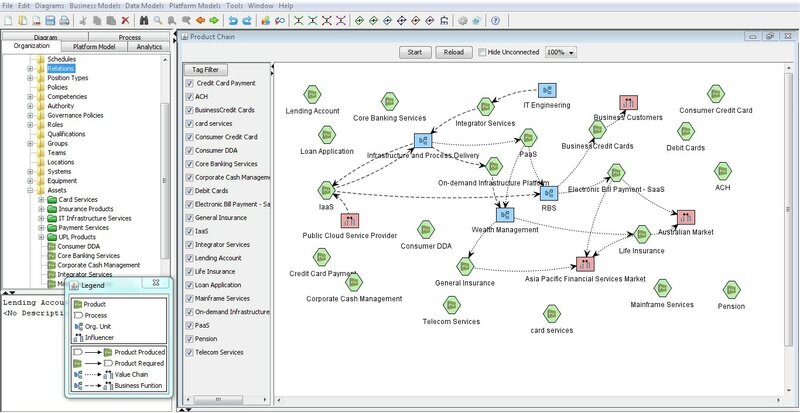 The editor supports a number of different dependency relations such as "value chain", "shared business function", etc. The dependency relations between actors are defined as directed network links, and the direction expresses the direction of exchange of value in terms of “value assets” during the interaction between for example, provider and customer, supplier and organization, etc. The semantics of the interactions encoded on the dependency relations between two actors/social systems is through goal models. Task Dependency - This dependency defines a sub-model in which the dependum is stated as an activity (process). The depender wants the dependee to perform the service as specified by the description of the activity. For example, Engineering depends on Production to produce the product according to some process. Production can be further constrained by a “Conform To Specification” dependency with Engineering. A task/process denoted by a process contributor that is specified through BPMN process model. Process Contributors have contributions links to functional goals/softgoals indicating how they contribute to achieving those functional goals or qualities (positively or negatively, with what strength) respectively. High level softgoals are refined into more specific softgoals through AND, OR combinations as well as partial contributions. Resource Dependency – This dependency defines a sub-model in which the "dependum" is an entity (information or material object). The depender wants the dependee to furnish the entity so that it can be consumed as a resource, but is not concerned about the activity or any problem solving that may be needed to produce the entity. For example, Engineering treats product concept as a resource from Marketing, and the Customer treats the final product from production as a resource. Goal Dependency – This dependency defines a relationship between Organization Units) logical actors in which the “dependum” is stated as an assertion (goal). The depender wants the dependee to make the assertion true, without specifying how it is to be achieved. In a goal dependency, the dependee is free to adopt any course of action, as long as the goal is achieved. The depender does not care how it is achieved. For example, Marketing depends on Engineering to have a product designed. Engineering has the freedom to choose how to do the design, as long as the goal of getting the product designed is achieved. Softgoal Dependency – This dependency defines a sub-model in which the dependum is a quality attribute (expressed as softgoals), such as “fast”, “cheap”, “reliable”, “secure”, etc. A softgoal dependency is similar to a goal dependency except that the criteria for achievement of the quality goal is not sharply defined a priori, but may require elaboration and clarification. Consultation between depender and dependee may be required. For example, Corporate Management’s softgoal dependency on Marketing for profitable products indicates that Corporate Management chooses among the different ways which Marketing believes can achieve profitable products. The strategic goal dependency relations models may be contrasted with process models employing dynamic ontologies. Unlike typical process models based on activity diagrams and data flow diagrams which focus on workflow, control flow, and information flow; the SD (strategic goal dependency relations) models depict what actors want from each other, and the freedoms that each actor has. For example, actors may possess knowledge that enables them to achieve specific goals and perform certain tasks, but this knowledge is not made explicit in the SD model. SD models depict external relationships among actors, while remaining silent regarding the internal makeup of actors.